Al Ewing’s Royals #1 takes place sometime after the inhuman vs X-Men event, much has changed for the inhumans. With the Terrigen Mist destruction, the future of the Inhuman species is in danger. The issue starts off five thousand years in the future, we are introduced to an unknown inhuman claiming to be the last of his kinda. Through his monologue, he starts to explain the downfall of Royal family. 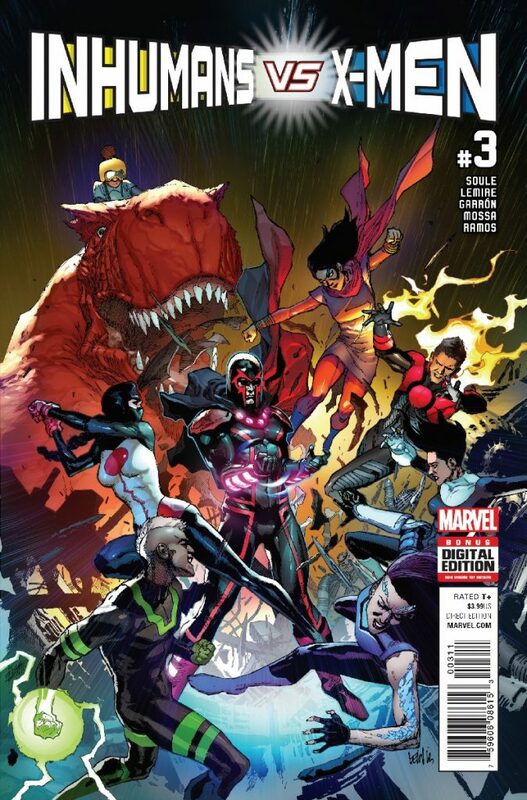 A lot has changed since the IvX, Iso has become the new Inhuman leader, while she is appointed leader she still addresses Madusa as her queen. On Attilan, the inhumans are greeted by Noh-Varr aka Marvel Boy, he claims to know a secret about them, a secret that can save the inhuman species. If they want to know this big “secret”, they must travel to Hala the Kree Home world to find out. Medusa is the first to agree, she feels the family has let its people down and therefore should be ones to make it right, after a brief disagreement with ISO over the new mission, all of the royal family agrees including new inhuman member Flint. Knowing the difficulty of this mission each family member say their good byes to their loved ones, Crystal meets up with her daughter, Gorgon to his son, Swain and Flint do as well. When Medusa approaches Black Bolt, he walks away from her hinting at a potential fallout in the near future between them. At the end of the issue we get a shocking revelation from Medusa, she’s dying, form what we don’t know but we see its effects, as see her losing her hair. Conclusion: Form the start you can tell Marvel Boy is using the Royal family for his own personal reasons, with its good or evil, we don’t know, but we do know it involves the being inside a container he’s carrying around with him. The relationship between Medusa and Black Bolt is on the rocks once again, I’m sure in upcoming issues we will find out why. And last but not least is the health of Medusa, what is causing this mysterious illness, why is it effecting her powers, and will she make through this mission. 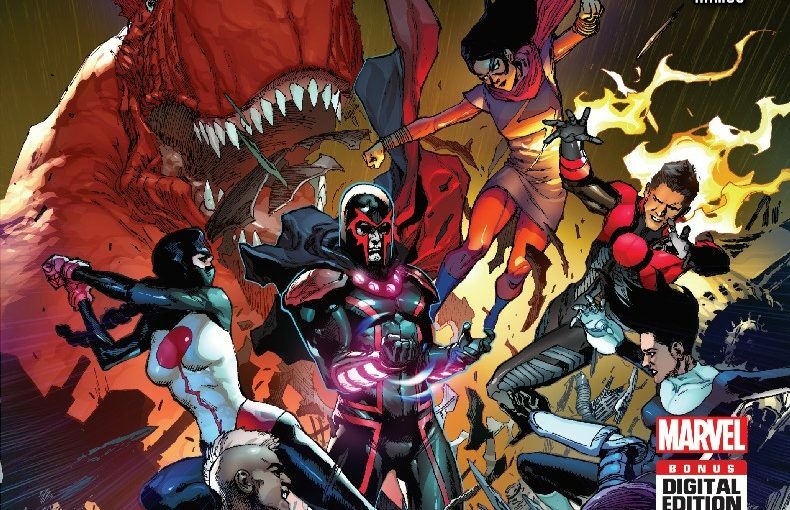 Marvel’s Inhuman vs X-Men event has seemed to hit its climax, the war between mutants and inhumans hasn’t turned out for the better. Many of the inhuman’s died, all because of a lack of communication between the two groups. Emma Frost’s grief gets the best of her, we see her transition into hate and anger which in turn cause’s her make decisions that in dangers the X-Men, she no longer cares about saving mutant kind, Emma wants revenge for Cyclops and is hell bend on killing Black Bolt, who she blames for Scotts death. But its revealed that Cyclops wasn’t killed by Black Bolt, he was killed in an accident way before the discovery of the Terrigen Mist. Young Cyclops reveals that Emma had been lying to everyone for months about it, Storm confronts her about it and she doesn’t deny it, in fact she becomes more unstable. If not for Ahura and the Ennilux, the war would’ve gotten more out of hand. The down fall of Emma is also the rise of Madusa, she really evolved as a leader in this crossover, with all that was going on Madusa never wavered when things looked grim for them. Medusa’s growth was one of few things that I found enjoyable in this crossover, as for the final battle between the two groups, I found it to be a little lack luster. There was no real lost amongst the two teams, granted Ahura did lose a ship full of Ennilux, but in actuality their deaths played no real significance overall. For me Inhumans vs X-Men is an average crossover at best, the story reminds me too much of AvX’s, on top of that you never get a real present of danger in this crossover, even with Emma going full on crazy at the end. Marvel had something good with this event, but because it focuses more on action instead of the narrative this crossover is miss. 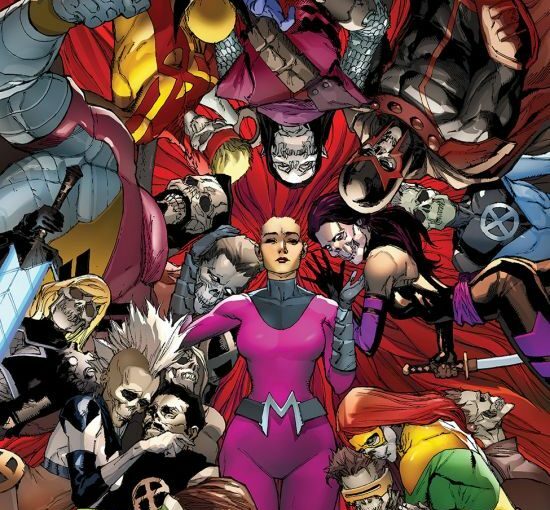 Review – Inhumans vs X-Men #5: What’s Next? The Inhumans have gotten the upper hand on the X-Men and finally located and release Black Bolt from, my biggest issue with this run is how the X-Men despite having a legit reason still come across as in the wrong, while you can debate whether or not that’s true, you can’t overlook this one other problem I have with this crossover, and that’s X-Men/ Mutants turn on each other way too quick. Again, some fans may not see it that way, but for me that’s how I see it. Inside the World, an artificial time altering environment, Jean and Fantomex continue to battle it out with Karnak, who in the process finds lockjaw and frees him. Back in Limbo Gorgon and Colossus fight concludes with Colossus getting the best of Gorgon, at the same time Madusa and the other royal family members find Black Bolt but are confronted by Havok who threatens to take out the inhuman leader, Havok warns Medusa and company about Emma Frost who he states is the real fight, Back in New Jersey Iso and the other young inhumans decide to help Forge build and use his machine in order to stop the Mist, Grid warns ISO that helping Forge goes against everything Medusa and the royal family have been fighting for. Sypnapse and Reader teleport to The World and find Karnak meditating after surviving his battle with Jean and Fantomex, together the three of them try to wake up lockjaw. Cyclops, Ms. Marvel, Grid and the others fly to Iceland, but are quickly confronted by the full X-Men team, Back in X-Heaven Colossus finds Havok siting and is surprise when Havok tells him he let Royal family leave with Black Bolt. 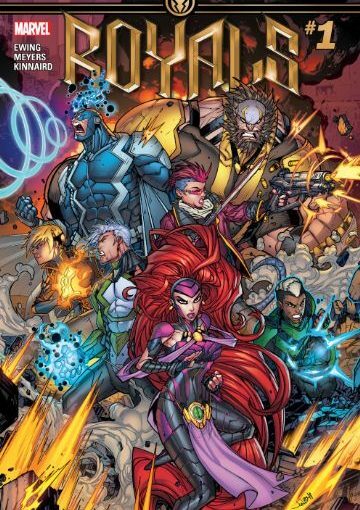 The action picks up at end of the issue when the inhumans and Cyclops have it out with Emma and the rest of the X-Men, as they two teams fight Magneto becomes impatient with the senseless fighting and decides to step in. 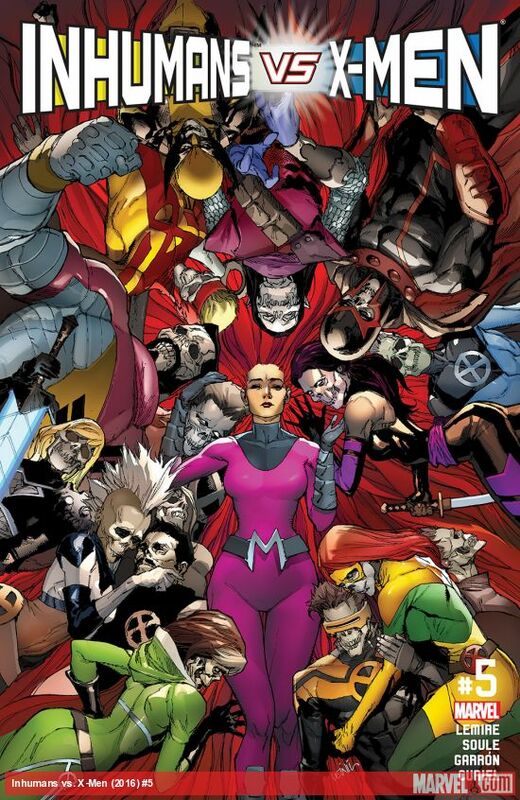 Conclusion: Now that the younger Inhumans are going to help Forge stop the Mist, I’m interest on how this will affect the Royal family in the future, Medusa feels as if the X-Men have crossed the line attacking New Attilan and taking Black Bolt, when this conflict finally ends you can bet a rift between the inhumans and Mutants will be bigger than before. While still entertaining it still feels less important of an issue , compared to the AvX or House of M events. Posted on February 27, 2017 Author Anthony DavisCategories Comics, Featured, ReviewsTags Charles Soule, comics, David Curiel, Featured, inferno, Inhumans, Inhumans vs X-Men, ISO, IvX, jeff lemire, Lenil Francis Yu, Mavel, Medusa, ReviewsTags Attilan, x-menLeave a comment on Review – Inhumans vs X-Men #5: What’s Next? 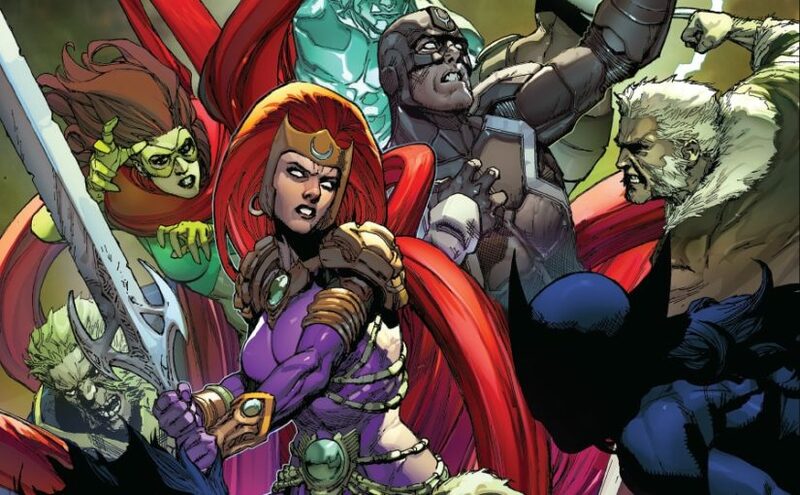 Review – Inhumans vs X-Men #4: Time is running out! Are the X-Men in the wrong? If you think about it, they have a legit cause, a threatening mist is poisoning all mutants on the planet yet it still feels as if the X-Men are in the wrong. You may ask the question as to why it seems that way, and the answers simple just look at the last pass crossovers, the X-Men haven’t been a shining example of heroes in the past so when they do have an actually cause to fight it still feels like they’re in the wrong. The Royal Family finally find a way out of limbo, Iso and Inferno gather the new inhumans and devise a plan to infiltrate Muir Island using Mosaic’s unique ability, he tries to take control of Magneto but because of Magneto’s experience with mind control the possession doesn’t last long and he is spotted causing him to steal a aircraft for a quick escape. Meanwhile the royal gets free and with help of Johnny Storm set a fire around the mansion in order to keep them from attacking them, but Medusa and the rest of the royal family are confronted by Colossus. Conclusion: When you have two groups believing what they’re doing is the right thing your almost certain conflict will happen, and this crossover brings that issue to the forefront once again. This is an issue that’s similar to what’s going on in today’s society more than ever, you have two teams fighting because they believe each other’s race is in danger and that there’s no other way. But because Ms. Marvel, Inferno, Iso and company are on the outside looking in they see it differently and that’s putting doubts in what they should do next. Posted on February 11, 2017 February 11, 2017 Author Anthony DavisCategories Comics, Featured, ReviewsTags Charles Soule, comics, David Curiel, Featured, inferno, Inhumans, Inhumans vs X-Men, ISO, IvX, jeff lemire, Lenil Francis Yu, Mavel, Medusa, ReviewsTags Attilan, x-menLeave a comment on Review – Inhumans vs X-Men #4: Time is running out! 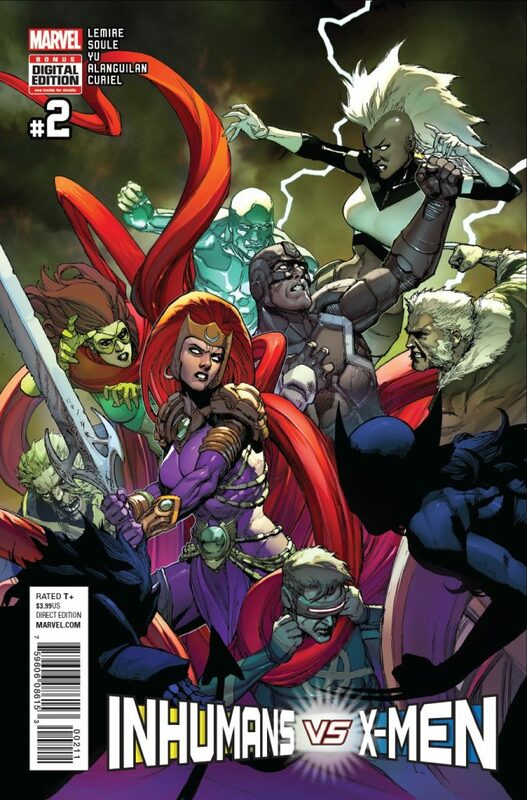 Review – Inhumans vs X-Men #3 :Where’s Black Bolt! After escaping Wolverine (X-23), ISO and inferno find themselves face to face with the original Wolverine (Logan) and fight between them breaks out, surprisingly inferno holds his own against Logan even going as far as knocking him out. With logan out for the count the two capture Forge and blow up his machine, back in limbo the Royal family are coming up with a plan for escape. The young inhumans inferno and ISO come up with a way to get help against the X-Men, they decide to get in touch with Kamala Khan Aka Ms. Marvel who they know can get other inhumans to help them. The meat of the issue is when Young Beast, but before that we see Jean Grey and Karnak are in what looks like an illusionary world, Kanrnak sees through the illusion and escapes but is quickly confronted by Fantomex. I said before the meat of this issue is when young and older beast chat with the X-Men, with forge gone the X-Men can’t get rid of the Terrigen Mist, the McCoy’s are trying to come up with another way but Emma and the rest of the X-Men believe the time for action is a must because once the royal family gets free things will become even harder, with Emma hint that if Black Bolt is freed all hell will break loose. The reavel of Black Bolts capture and hinted release is sure to make things a bit more interesting in the future, with the mist still lurking around the teams’ main focus is getting Forge back as soon as possible, but with ISO and Inferno gathering inhumans to help recapture New Attilan, the X-Men could have major issues going forward. Posted on February 8, 2017 February 10, 2017 Author Anthony DavisCategories Comics, Featured, ReviewsTags Charles Soule, comics, David Curiel, Featured, inferno, Inhumans, Inhumans vs X-Men, ISO, IvX, jeff lemire, Lenil Francis Yu, Mavel, Medusa, ReviewsTags Attilan, x-menLeave a comment on Review – Inhumans vs X-Men #3 :Where’s Black Bolt! 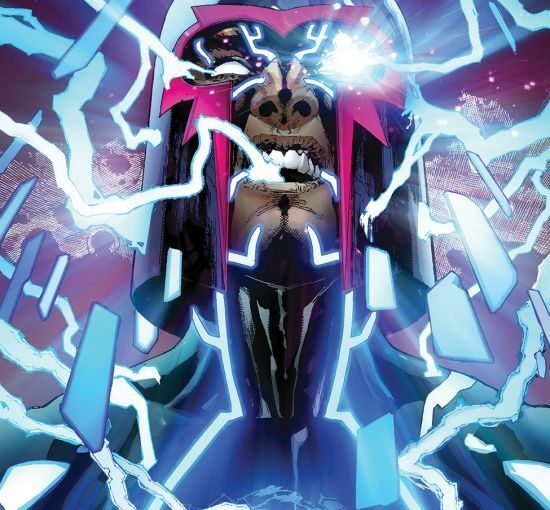 The majority of the action takes place in New Attilan, With Black Bolt,Crystal and Karnak all out of commission the X-men are able to attack Medusa and the other inhumans with ease. The plan was simple attack and take out the royal family without harming the innocent civilians during the process, for most part they accomplished that goal thanks to Magik, she uses limbo as a prison for the inhumans. Throughout most of the issue we see the perspective of the situation form each of the X-Men, whether it be through actions or dialog we get a good idea of how each member of team is feeling. 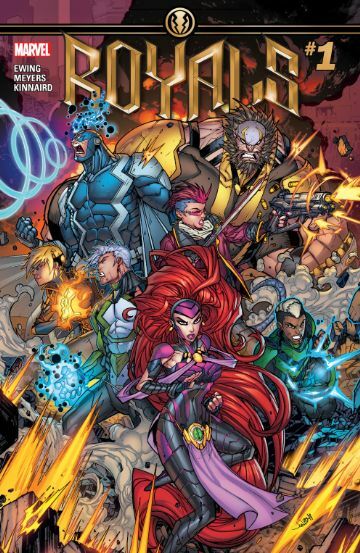 While Storm is all for taking out the inhumans, she’s not about killing them unjust, Meanwhile Magnetio and his band are willing to do whatever it takes. Johnny Storm tires his best to deflate the situation by asking Medusa to not fight back, but she explains to him the X-Men are way past keeping the peace and that as queen she must defend her home and people. Storm and the X-Men finally takedown the last few royal family members and put them in limbo, at the same time ISO and Inferno look for Eldrac the Door in order to escape a determine Wolverine (X-23), the issue ends with inferno and ISO begin teleported to Alberta where Forge and Old man look stand waiting. 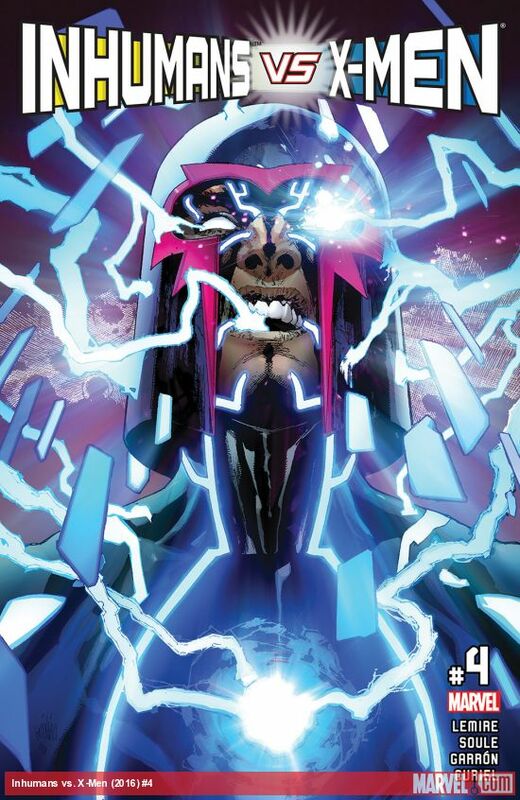 Conclusion: Without Black Bolt the Inhumans have no chance against the X-Men, as a team the X-Men are a force to be reckoned with and this issue displays that, you can argue that even with Black Bolt they still would have lost. When the X-Men are written to having a just cause, they are enjoyable to read, unlike the Avengers vs X-Men crossover I find this crossover more bit more enjoyable at the moment, I’m looking forward to seeing how this conflict plays out.